What initially drew me to The Burlap Bears was an interest in how Patrick McDonough was going to turn teddy bears into something to be feared. Dolls and puppets already have something innately unsettling about them, because they take the human form and make it inhuman; while teddy bears, on the other hand, don’t quite have the same quality to them. So, I was intrigued. 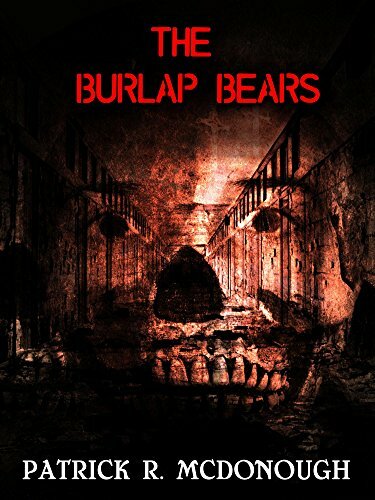 Having since read the story, I’m now just…confused, and a little thankful that The Burlap Bears comes in at just over 60 pages. I don’t understand what the bears – Billie and Jeffrey – are, or why they’re killing people. I don’t understand how they choose their victims, because even the suggested reasoning in the book is inconsistently applied. And I don’t understand about 90% of any of the characters’ actions – in part because they’re so unclearly defined that there’s no core personality traits against which to judge their actions, but also because many of their actions just don’t make any kind of sense, both within the logic of the story itself (insofar as any can be said to exist), and more broadly. What I do understand, is that a major overhaul of everything in this story – largely made up of a collection of tired clichés and one-dimensional characters, wrapped in the plot from The Ring – would be required in order for it to be anywhere near worth reading. It might seem harsh to say so, but as it stands, there are just so many fundamental flaws with The Burlap Bears that I can’t imagine anyone enjoying the experience of reading it. I know I certainly didn’t.